Offering you a complete choice of products which include non woven zipper bag making machine and zipper lock bag making machine. We are offering Non Woven Zipper Bag Making Machine to our clients. This machine is used for making Zipper bags which is made by CPP Film and Non Woven Fabric. The Zipper Bag is Applied to Jacket / Clothes Bag, Stationery Bag, Pouches etc. We are offering Zipper Lock Bag Making Machine to our clients. 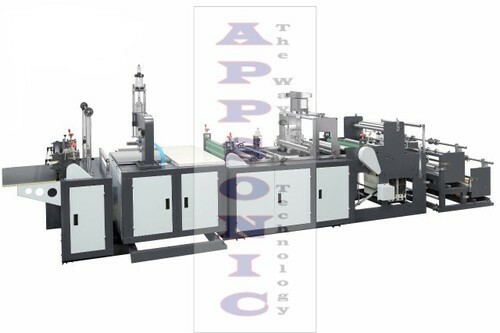 This machine is used for making zipper bags which is made of CPP film and non-woven fabric. The zipper bag is applied to jacket / clothes bag, stationary bag / pouches, etc. Looking for “Zipper Bag Making Machine”?